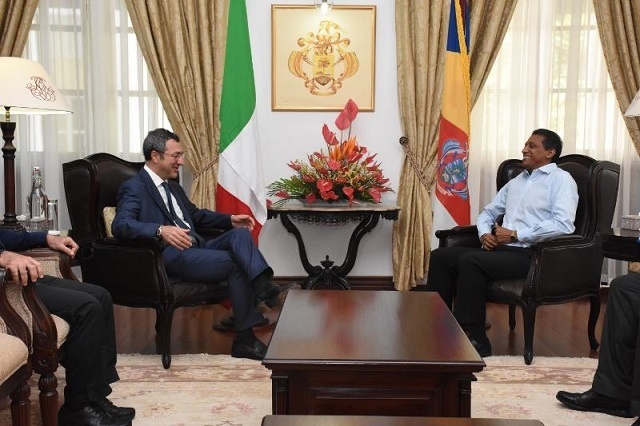 (Seychelles News Agency) - Tourism is one of the main sectors of Seychelles’ economy that newly accredited Italian ambassador to the island nation will continue to focus on during his mandate. “We would like to further stimulate the flow of Italian tourists to Seychelles by creating better conditions for such to happen. It needs to be noted that the number of Italian tourists coming to Seychelles which has been increasing steadily in the past five years,” said Pieri. “We can explore some initiative of partnership between our countries when it comes to this sector,” said the ambassador, who will be based in Nairobi, Kenya. “There are many other opportunities in Seychelles, we need to have follow-ups of what has been discussed with the president. I have other meetings with the other representatives in the government to discuss further details,” said Pieri.